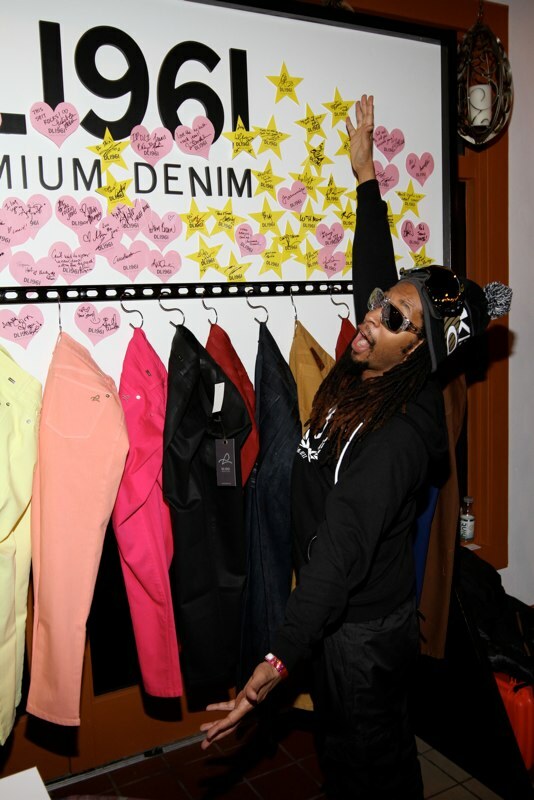 Park City, UT – DL1961 Premium Denim, a staple in the closets of numerous celebs (check them all out here) and trendsetters, hit up the Sundance Film Festival over the weekend at the Talent Resources Suite. AnnaLynne McCord, in a great mood and excited for her movie premiere at the Sundance Film Festival, ordered a few pairs of DL1961 Premium Denim at the Talent Resources suite to be delivered to her home. Jamie Chung, arriving at the Talent Resources Suite at Sundance Film Festival straight from the slopes in snow pants and a helmet, had no problem taking off all the layers when she saw the DL1961 Premium Denim booth, as she tried on a few different styles and colors and ended up walking out in a pair, toting her rain gear.